The NUCAP DRT is the best solution to stop brake drag, saving money and time. 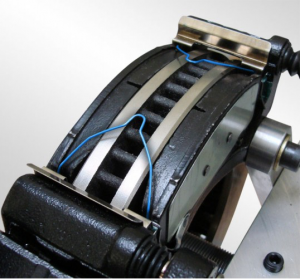 The DRT spreader springs keep the pads away from the rotor, saving time, gas and money, extending the life of the pad. Now you can buy DRT online at www.nucapperformance.com. 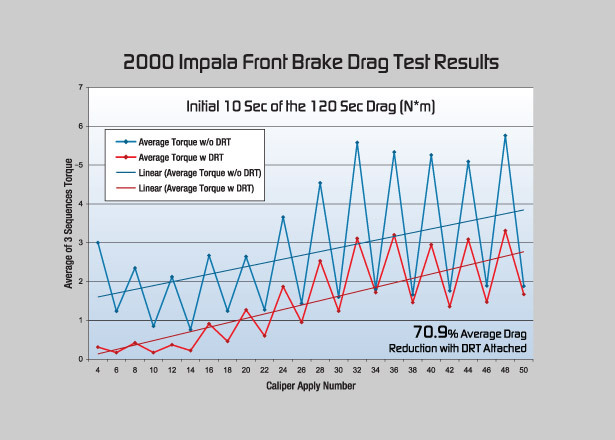 Brake drag is a common area of concern for vehicle OEM’s and race team engineers that focus on maximizing fuel economy and maximizing horsepower delivered to the wheel. Now you can buy DRT online at www.nucapperformance.com. 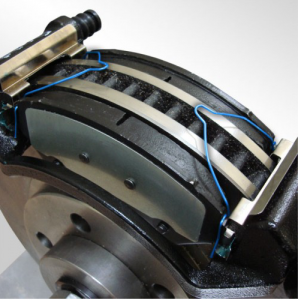 The NUCAP DRT is an innovative solution to reduce the undesirable brake drag as an aftermarket upgrade to OE brake designs (where applicable). Below you can see an example of a test result. Drag Reduction Technology is an affordable and easy to install product, designed to improve your vehicle’s drivability, wear and efficiency. Have a few questions you need answered drop us a line.